The Metroplan Eyeline range of wall and ceiling mounted screens are extremely popular because they are highl functional and very easy to install. 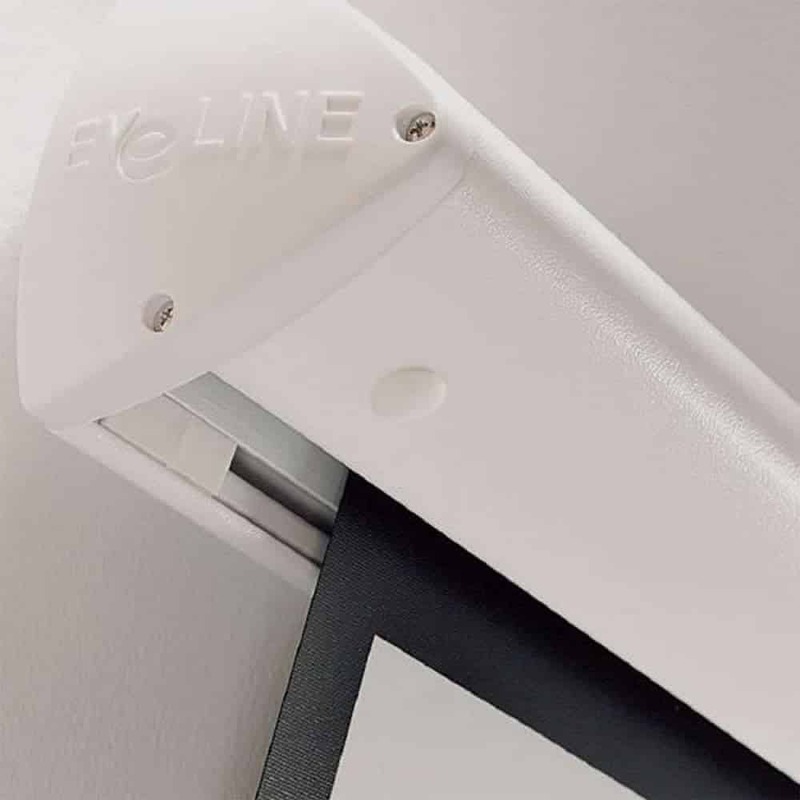 The stylish Eyeline Projection Screens are completely install-friendly because of its ‘click on – click off’ fixing bracket that is patented. The brackets may be placed at any length along the screen case. Both wall and ceiling brackets are included in the set. 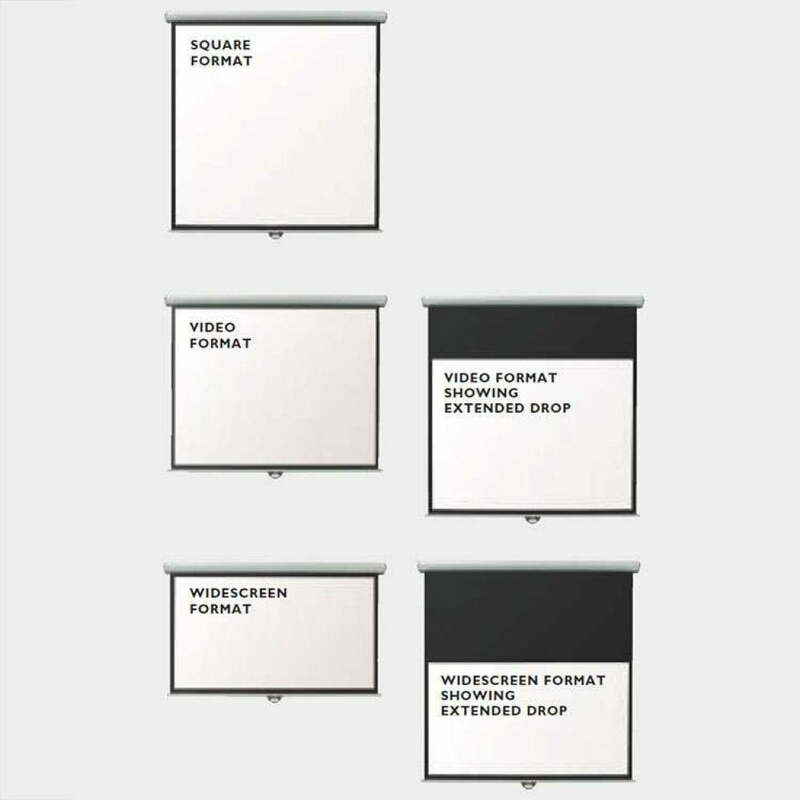 The white matte screen is crisp and clean matte that has sharp black borders surrounding it on all four sides. 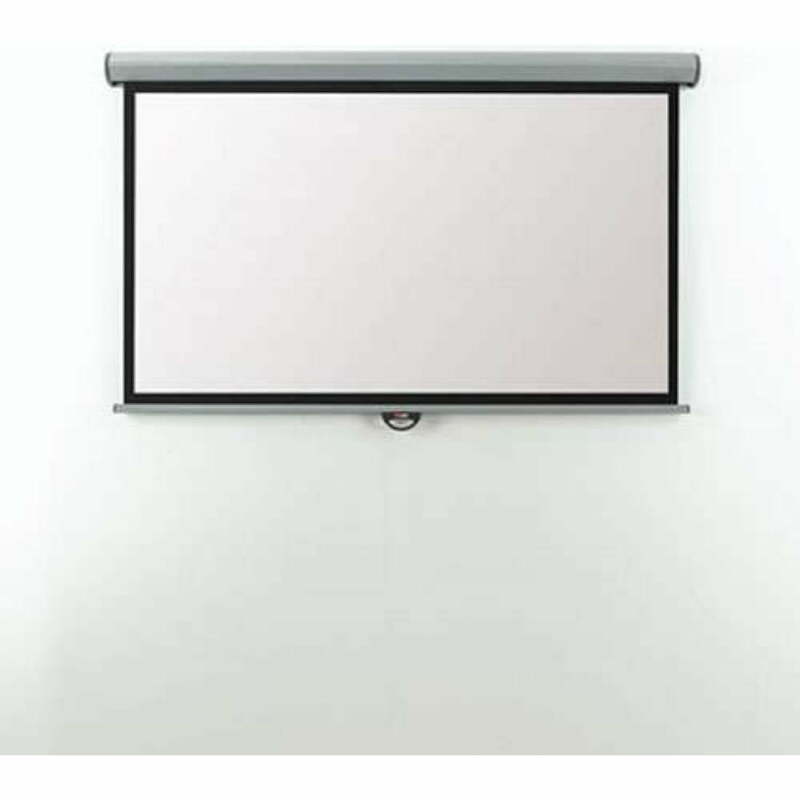 This allows the projector to project to the whole screen without any messy overlap. Those non-reflective black border works to disguise these overlaps on the projected images. It includes a screen case that comes in cool white.